Disclaimer: The following article is a summary of the Magos whitepaper. Not all facts and figures have been independently verified and thus this article should act as a means of understanding this cryptocurrency easier, not as investment advice. 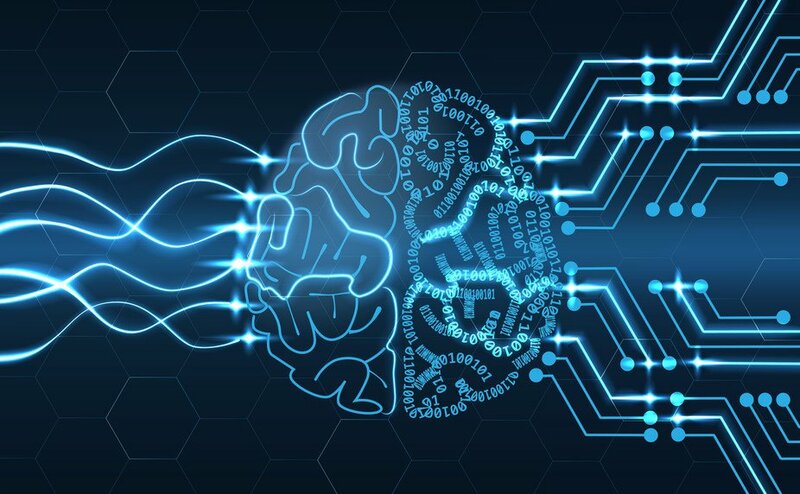 Recently, I wrote an article about the upcoming Intelligence Trading Tech ICO whereby the team plans to implement artificial intelligence (AI) to produce trading signals for cryptocurrency day traders. Well, today I’m going to be talking about artificial intelligence again. This time for the Magos ICO which aims to use the AI to make profits in a fund. In fact, with the increasing prevalence and use cases for artificial intelligence, I strongly suspect that I’ll be talking about it more and more in future posts. The previous discussion about a use case of AI was somewhat limited; the potential is so much greater than just sending out messages to traders. Magos is a fund hosted on the Ethereum network which is managed by Artificial Intelligence and supervised by the Magos team. 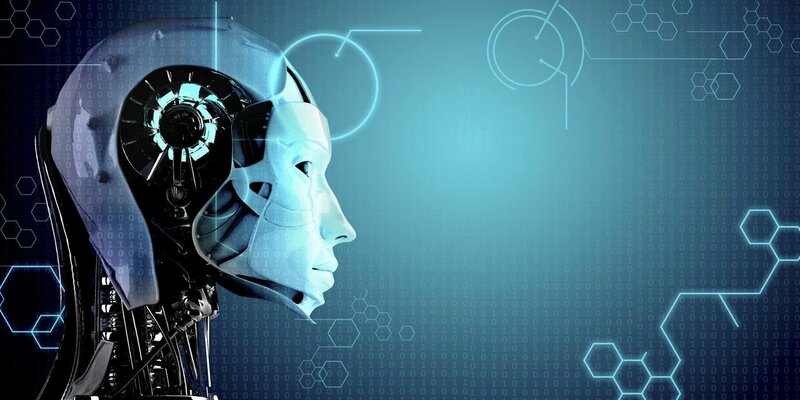 The fund will centre around making profits in Prediction Markets, Sports Betting and Digital Asset Management in the futureBasically, the idea is that Artificial Intelligence is capable of picking the best investments and finding the ideal sports odds to bet on. The profits made from this are then returned to Magos investors. Now that we’ve established what Magos are attempting to achieve with their cryptocurrency, let’s cover a little bit of background information and explain exactly how and why it could work. Is Artificial Intelligence Capable Of Betting & Investing? In this section, I’m going to briefly cover a bit of background info on Artificial Intelligence in relation to this topic. If you already think that AI is the nuts (the best) and you don’t want to read this section, feel free to skip to the next. In Magos’ whitepaper, they discuss examples where AI has proven itself capable of outcompeting humans in competitive environments. The first significant example was in 1997 when IBM’s supercomputer was able to beat the best Chess player in the world. This isn’t too surprising as Chess is a game of tactics and AI is capable of analysing thousands of different tactics in seconds. However, the real surprise has been seen in more recent years when AI has shown itself capable of beating the best players in the world at Poker and AlphaGo. As both games require extensive intuition and feel (just think about bluffing in Poker etc. ), it was a shock to many to discover that a computer is capable of outperforming humans in this task also. If Artificial Intelligence is capable of outperforming humans at such complex tasks such as Poker, is it capable of doing the same in other industries? For me, at least, the answer is a pretty obvious yes and it is because of this that I expect we will see the rise of AI increasing with relatively consistency over the next few years. Clearly, there is potential for it. That doesn’t automatically mean that Magos are capable of creating an AI which can achieve this though. Before we do that, I should say that the AI is currently operational for the categories of sports and esports already but not the others as they will be developed soon. Moneyball is not only a quality true story film (watch if you haven’t already!) but it’s also a landmark as it proved that statistical data can be far more significant than the hunches and intuition of humans in relation to sports. Essentially, the story is about how the Oakland A’s began studying data to pick the best players and put their team together in this manner. Despite having a budget far smaller than their rivals, the teams were able to make it to the MLB finals. This is a great example and we have seen similar examples time and time again ever since. In the past couple of decades, data has begun being used and analysed in sport to an incredible degree and this trend is set to continue. Yet, the average sports bettor doesn’t make use of any of this data. Instead, they still rely on gut and intuition. Some may study home/away records etc. but this is still just a tiny fraction of the possible data to look at. 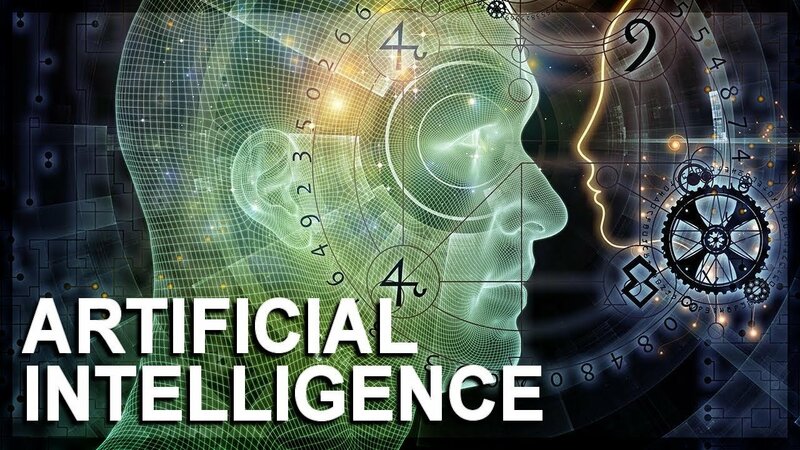 Artificial Intelligence, on the other hand, is capable of compiling and analysing thousands of pieces of data per second and can thus make far more accurate decisions. Now you’re probably thinking “But Tom, bettors are competing with the bookies, not each other”. This is somewhat true but not entirely. There are essentially 2 ways that an AI can gain an advantage and one of these results from the fact that this isn’t 100% accurate. I’ll use an example to show what I mean; recently there was a massively hyped boxing match between the undefeated boxing great Floyd Mayweather and the boxing debutant Conor McGregor. Obviously, Mayweather was heavy favourite for good reason and the odds were set this way. However, McGregor made so much noise before the fight that people actually began believing he could win. So much so, that one bookie (I think it was Paddypower) announced that 80% of bets had been on Mcgregor, the underdog. If the bookies kept the odds the same and Mcgregor won, Paddypower would have had to pay out a mammoth amount of money. Therefore, they had to drop their odds on McGregor winning and also raise the odds of Mayweather to win. In other words, because so many people had bet on one outcome, the odds were changed and it was possible to bet on the Mayweather win at odds far higher than the experts thought was fair. This is an extreme example but the point is true for all events; odds are adjusted based on how the public bets so when an AI attempts to bet (just like you and me), they are attempting to beat the bookies and the public. For this reason, there are many times when the player (or the AI in this case) actually has an edge. If an AI is capable of spotting this based of thousands of pieces of data, the potential to profit is real and significant. As I said before, there are 2 ways for the AI to gain an advantage is sports betting and the other is simply that the original odds are not correct. If the AI can spot this, the potential for profit is once again possible. Clearly, there is the potential for an AI to profit in this area. Maybe Magos are the ones to achieve this? Esports are a hugely growing marketplace; already growing to $325 million in 2016 from virtual obscurity just years before. 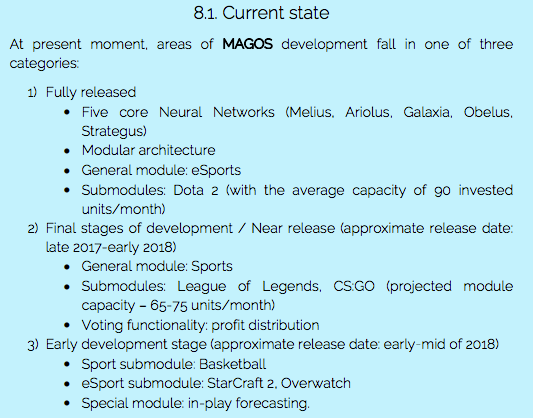 There is little doubt that this is expected to continue further with Magos claiming that the market is forecasted to grow to $1.488 Billion in 2020.
eSports Betting markets are growing rapidly and thus are becoming established, mainstream methods of betting yet the average bettor have very little information. With Magos’ AI capable of analysing extensive data sources, they believe there is also profit potential here. In fact, they have actually tested their AI in this market already. The test was performed on the FansUnite platform and the results are pretty impressive it has to be said. It should be noted though that this sample size is relatively small. As you can see from the image above, their AI was able to achieve a Return on Investment (ROI) nearly twice as high as the next best competitor, with the AI ranking number 1 overall. This section is pretty short because I think the following is pretty obvious and has pretty much been covered already, just not for this specific context. Essentially, the AI will be able to analyse thousands of pieces of data (just as before) which is far more than a human and compile this into determining whether a market or individual stock/share is likely to increase or decrease in value. Through various trades based off this, the AI will, in theory, be able to make profits from the accurate forecasts. This is a more interesting and unique point for me, especially when you consider recent political upsets. Traditional models to forecast the likelihood of political parties winning elections has been based so heavily on polls. The problem with this is that when one factor makes up such a large part of the forecast, if this one aspect is wrong, the whole forecast is ruined. A great example is the recent US election where most forecasts gave Trump such a low of victory based mostly of polling results. Whereas, other forecasting methods that utilised many information sources (e.g. social media indications), gave Trump a much higher chance and were ultimately proved correct (well, not correct but less incorrect!). As an AI is capable of analysing all of these various sources, the potential to forecast the chance of each political candidate winning is far higher. As you can obviously bet on this, the AI can make profits here as well. I would say that I have a decent grasp on the technical aspects of many types of technology. However, the technical aspects of artificial intelligence are light years out of my understanding. For this reason, and the fact that most of you are probably the same, I have attempted to avoid the technical aspects as much as possible in this article. Instead, I’ve written in such a way that I hope the average person is capable of understanding. However, I understand that some of you will be interested in this so I would strongly recommend you check out the whitepaper if you fall into this category (https://magos.io/bluepaper.pdf). The way it works is that the AI is, in theory, able to make profit from the markets I’ve talked about above. Token holders are then able to claim their share of the profit at the end of each month. As the tokens are the only way to claim profits, they are fundamentally important and thus should rise in value if Magos are able to succeed in their plans. On top of this, the tokens also allow users to vote to change certain parameters within the system. As such, the tokens have an extra usage also on top of profit-sharing. Before all voting periods, the team will release the quarterly report, including their personal recommendation on how to make changes in order to maximise profits. Users will have the ability to vote on which methods they want e.g. If eSports prove to be far more profitable than Sports, users may wish for the AI to focus a higher percentage of bets on eSports instead. Another example is that users can even vote which new areas the fund should operate in e.g. Boxing, Cricket, Golf, Politics etc. 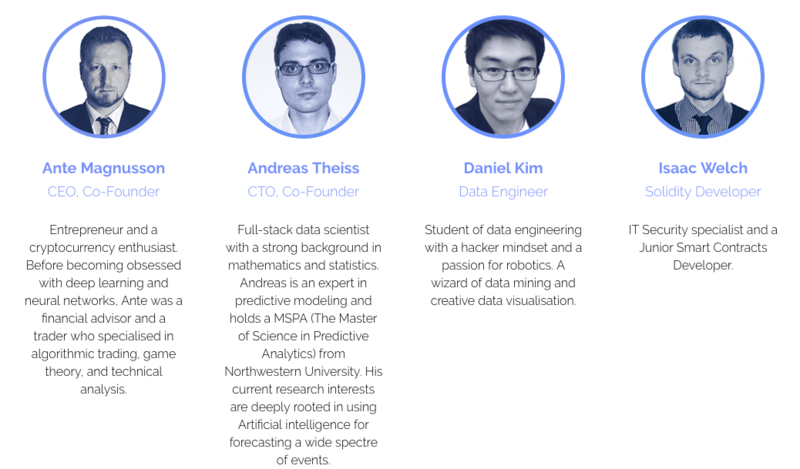 I’ve attached the images of the team here so you guys can determine for yourself what you think. 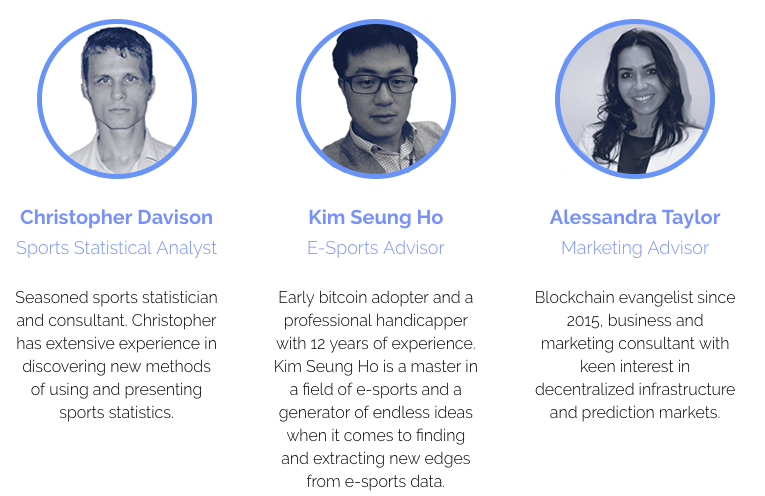 For me, I think the team appears pretty competent and I like the fact that they consist of 7 members; this may not seem too many but many of you would actually be shocked if you saw how small some of the teams are for cryptocurrencies. This is also reasonable in relation to the most likely opening market cap of the currency too… we’ll get to that in just a sec. The hard cap for the Magos ICO is 22,640 Ether. At the current price of 1 Ether ($247), this would put the total market cap at $5.6 Million which I would say is relatively high and would make it difficult to see impressive returns in the short term at least. However, the token sale has already been open for over 50% of its running time (it will close on September 30th) and only 2,850 Ether have been raised so far. This means it is highly likely that the hard cap won’t be reached. Importantly as well, the number of tokens created will match the number sold. In other words, there won’t be leftover tokens (like some cryptos) that are given to the team or kept in reserve. Magos’ method is effectively the same as ‘burning’ unsold tokens. Therefore, investors don’t have to worry about a potential price crash when the currency reaches exchanges. With this in mind and if we assume that the investment continues at roughly the same rate, the ICO will collect around 5,000 Ether and this would put the market cap at just $1.23 million. At a much lower initial market cap, the potential for high returns is much greater. Usually, I summarise this section in my own words as roadmaps can often be very convoluted. On this occasion though, the first half of Magos’ roadmap is pretty clear so it makes more sense to just add the picture for you guys. This way, the Magos AI should be operating in many markets in the future and be well diversified which is always safer for investments. On top of this, the 2 other major developments are the Melonport integration and the development of the Oraculum portal. Melonport Integration – This will allow for the fund to be 100% transparent and auditable which is an obvious benefit for dubious investors. Oraculum Portal – This will allow anyone to purchase the usage rights from Magos in order to utilise the forecasting and analysis features. This is particularly useful in the sporting and eSports industries e.g. 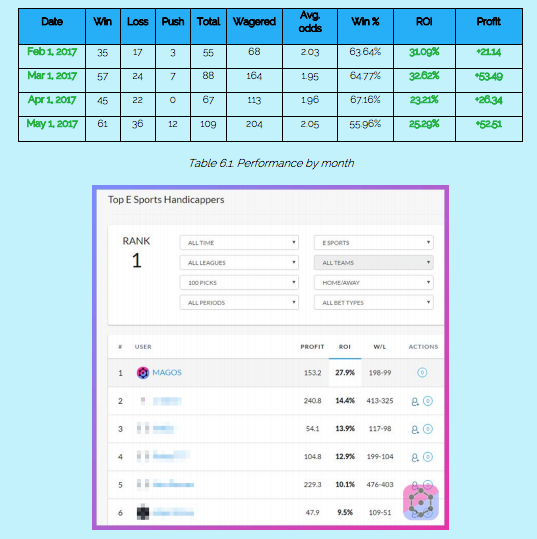 an eSports manager may wish to use the software to analyse which player is best for him to buy (think Moneyball) or an investor may wish to use the data to predict future stock market trends. ICO’s on the Verge of Bankruptcy?!? Does this project have a token and will it be a liar? I did receive the tokens and they offered @ 1995 AIO tokens / ETH.